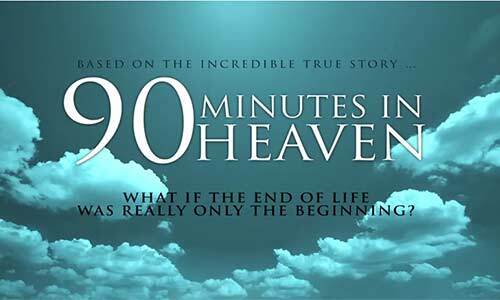 90 Minutes in Heaven is the screen version of a book by the same name that came out several years ago. It is a memoir, a firsthand account of a Christian pastor’s near-death experience. The book is excellent. The film? Far from it. In fact, it fails pretty miserably as a film, and also in doing justice to this incredible story. Granted, this was difficult to make into a film because so much of the drama was internal, lacking action or activity of any kind. After a horrific car crash that left Pastor Don Piper dead, the bulk of the story is his long, slow, excruciatingly painful recovery. Notwithstanding this challenge, the film is excruciatingly boring and un-intriguing. One of the film’s main flaws is the casting: Hayden Christensen as Pastor Don Piper, and Kate Bosworth as Eva Piper, his wife. Christensen looks like a kid dressed up in his father’s toupé, moustache and best business suit. And I can do a better male Southern drawl. It was truly comical. I have seen many a high school play where any student could have bested this feeble thespianizing. And that moustache. No matter where he is: preaching a sermon, being declared dead in wreckage or undergoing rehab in a hospital bed, the squirrely and distracting moustache abides: always in creepy pristine shape. It almost has a life of its own. Kate Bosworth (who is married to the film’s director) — looking and acting like a beautiful wax mannequin or an overly-Botoxed model — shows exactly zero emotion through everything (except that one time when she briefly slams her hands up and down on the steering wheel of her car). There is also exactly zero chemistry between pastor and wife. Did the filmmakers simply not know what to do with Christians? And a man of the cloth at that? Piper and his wife are not even one-dimensional. They are half-dimensional. Yes, it’s that bad. They actually relate to one another the way Amish are depicted interacting: extremely formal and duty-driven. I expected some “thee’s” and “thou’s” to escape their lips. You may question, as I did, Eva’s momentous decision on Don’s behalf that becomes a tremendous source of physical torture. It almost felt like some kind of revenge. Two parts of the film that were done well were the ominous beginning leading up to the crash, and — believe it or not — the depiction of heaven. Most films make heaven utterly cringe-worthy, but by focusing on warmly glowing, but otherwise normal-looking, normally-dressed, normal-acting people (no stark white backgrounds or stabs at showing us Jesus) we begin to realize that “love one another” is really what life (and afterlife) is all about. Don meets family, friends, acquaintances and strangers as he tells us who they are. It’s really quite wonderful. It’s an aspect of heaven that I think many of us picture in our mind’s eye, but don’t see in movies. However, for just about everything else, Heaven Is For Real is a much better film about a near-death experience (my review). Like Heaven Is For Real, 90 Minutes in Heaven ends with us getting to see the real Don Piper, which is rather unspectacular. The palette is perpetually rather hazy and dim. There are two gaping plot holes (not to be confused with potholes) and a sore, crying need for editing interminably long scenes where nothing is happening. I was not able to feel Don’s pain in the film, but it was palpable in the book. I would love to know why the filmmakers and actors took on this project. Was is a noble purpose? Well then, a noble, but awful attempt. Was it simply for the money? (The book was a major best-seller.) Well then, it shows.